Talk about annoying. Out of nowhere, Fiverr decided to launch an online ad assault toward the end of the summer. If you’re a design shop (and we are! ), an ad for crowd-sourced branding feels pretty much like a slap in the face. Whether Suzie Q’s researching materials, or the Clapping Cobra’s on Thesaurus.com, the last thing either of us want to see is a bearded hipster and his donkey-stupid smile offering to design us a logo for $5. We hope you don’t want to see it, either. We’ll save the speech about the evils of crowd-sourcing branding—and the standard-issue designer/copywriter “What would you think if a doctor/carpenter/plumber/shepherd tried to charge you $5 for their service!” metaphor—for another time. Honestly, we don’t really feel like we should have to explain this. You can’t brand a business effectively for the same cost as a fast food combo meal. And if we see that hipster on the street, SQ’s going to hold him down while the CC rips his beard off (that’s how you steal a hipster’s soul, FYI). 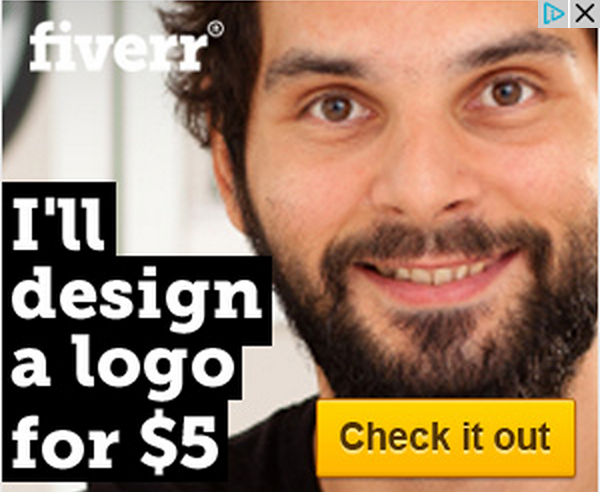 Ultimately, this is what we’re trying to say: Fiverr, you’re the worst.